Vei Mar 29 2019 12:22 pm Omg for me he looks sooo manly??? Ore-sama Jan 05 2019 11:41 am He is funny and dorky in Prison Playbook and made me surprise in Come and Hug Me..he really portrayed the complicated 'on the verge of being twisted but still sane' character! it really wonderful and it is so hard to pulled it off! congratulation that was so amazing! i am amazed! Aria Dec 09 2018 4:17 am I hope to see him in a drama as lead actor with Lee Soo Kyung from Where Stars Land...They look cute together. Charish Dec 06 2018 2:36 am Want to see him as a lead actor. He is really reaaly good in acting..
May Dec 05 2018 8:26 am Want to see him as a lead actor. NAM LOVER Dec 02 2018 2:04 am Please be the main lead for a drama similar to Where The Stars Land His chemistry, acting and visuals are so good! Im forever waitinv for his main part in a Rom com So sad they didn't start anything in where the stars land Love you Kim Kyung Nam!!!! Kyuni Nov 05 2018 9:05 pm I've seen him in 'Come and hug me' , and I'm currently watching his drama 'Where stars land' and I must say that I am very Impressed by his performances .He's indeed one of the best actors ever !!! gretzelle Oct 26 2018 10:31 am He is a very versatile actor! I really love all his dramas.. I hope he will become a lead actor in a drama soon! dima Sep 08 2018 6:33 am ahhh he’s so good! such a great actor i really wanna see him as a lead actor some day! cant wait to see him acting in his upcoming roles! Vero Jul 27 2018 5:10 am His act catch my attention especially in come and hug me.. Really great actor..!! LJ Jul 18 2018 11:33 am One of the best! What a versatile actor. His role in come and hug me really made the drama extraordinary that's why this drama is worth the wait. I'm always excited to see what other skills and abilities he has. I'm just amazed not just for him but to the entire casts. They did a great job and played their individual roles well. I hope that Kyung Nam will have more projects and I HOPE for his lead role in a drama cause he deserve it and I know he will definitely nail it! Fighting oppaa! Continue to insipire others ? PIJA Jul 12 2018 12:59 pm I first saw this actor in Strongest Deliveryman and his acting was on point! I think he'd slay the role of a badass guy, ahm, kinda like a tsundere? 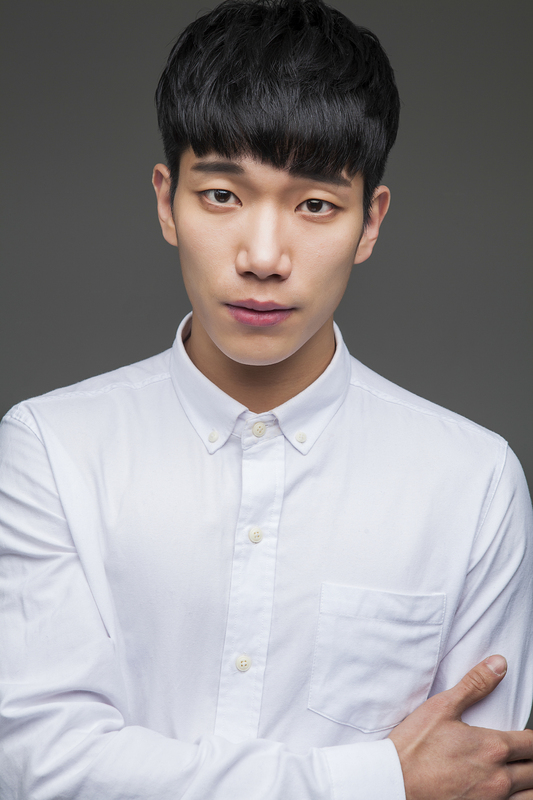 I REALLY HOPE HE GETS A LEAD DRAMA SOON! Hoping the best for his career! PS: Gonna go watch his other dramas now ? PPS: He looks really good and cool on sleeveless shirts. The best! Marie Jul 06 2018 9:52 am Omg! I didn't realize that Hyunmoo in Come and Hug Me is Kyungho's younger bro in Prison Playbook! He was so different haha! Goes to show what a great actor he is. Lol Jun 16 2018 12:53 pm Ahhh. I can't wait for more dramas/movies starring him. It'll be better if he's the main character tho! Fighting! sidi ann Feb 22 2018 8:17 pm fighting oppa!!!!!!! Banu Jan 05 2018 9:11 am Your awesome in Prison Playbook!! Hope to see more in awesome dramas in the near future! KDY Dec 18 2017 12:33 am He caught my eye in Strongest Deliveryman.... he's so hot!